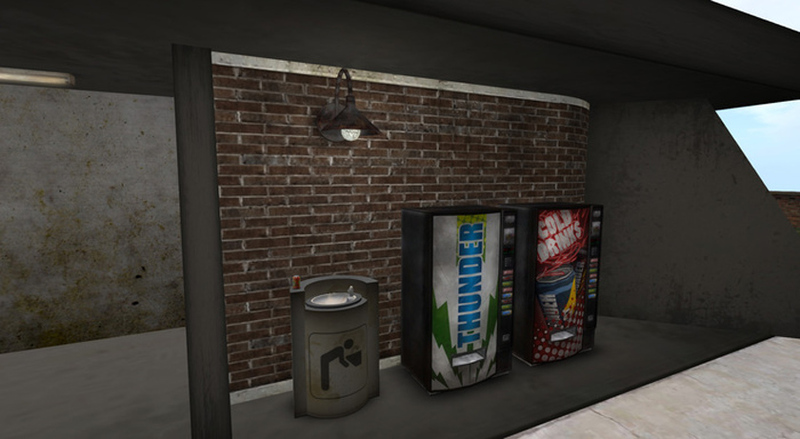 Several more Second Life soda machines follow after the jump! 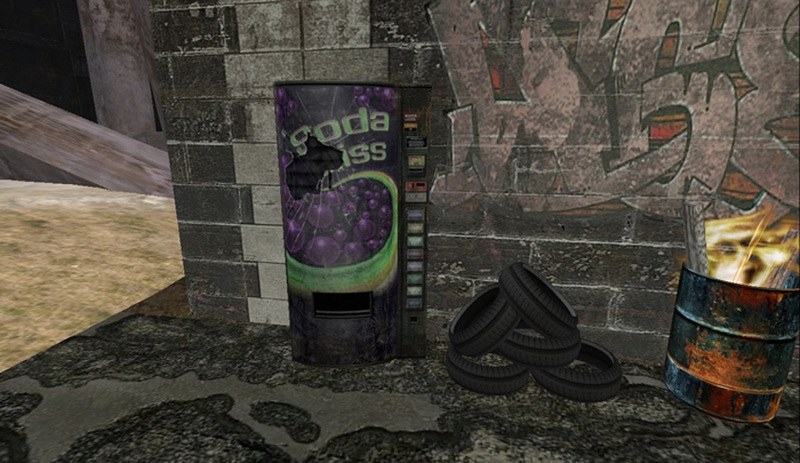 Our first screenshot actually features the same gas pump-inspired soda machine as the header image. 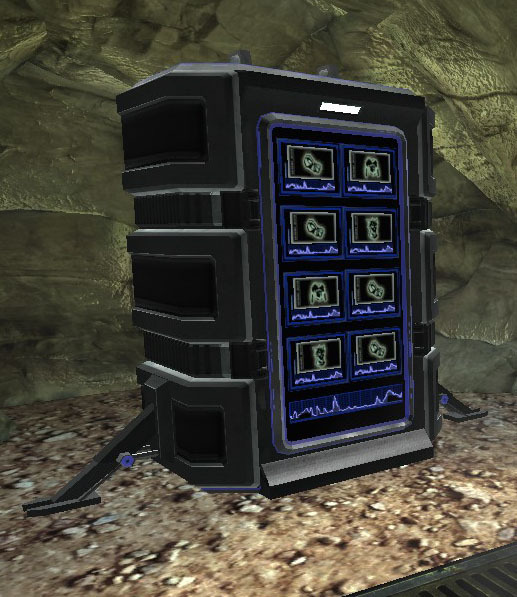 I’m including it mostly as a testament to the effort Second Lifers pour into showcasing their virtual stuff. 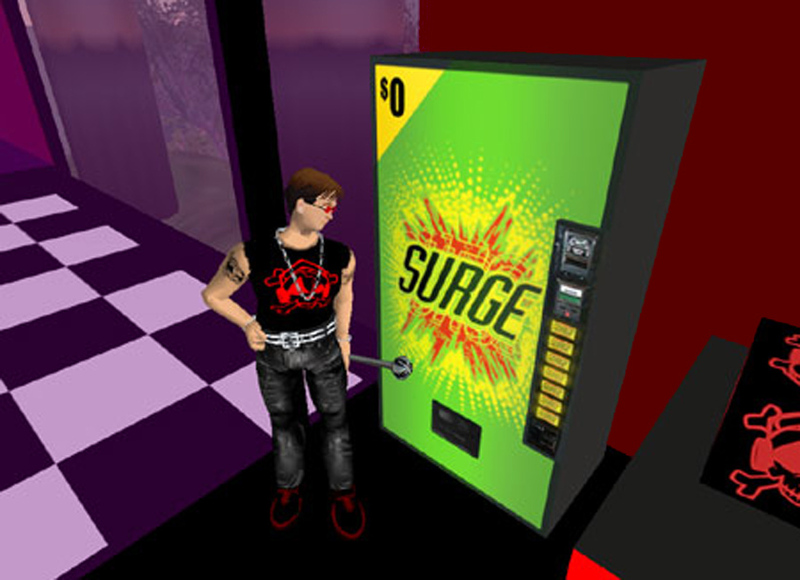 In this next one, we see what appears to be Lady Gaga’s Second Life avatar posing in front of a beverage machine. Snowmobiles, a hot air balloon, and a soda machine? I want to live here! 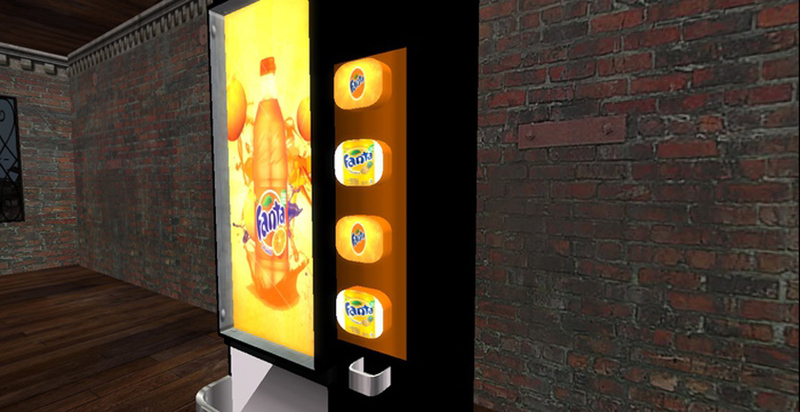 Ch-ch-ch-check out this Max Headroom-themed Coke machine! It’s a shame nobody is recycling the cans from this Coke machine. Looking for something with a little more kick than Coca-Cola? How about a Red Bull? 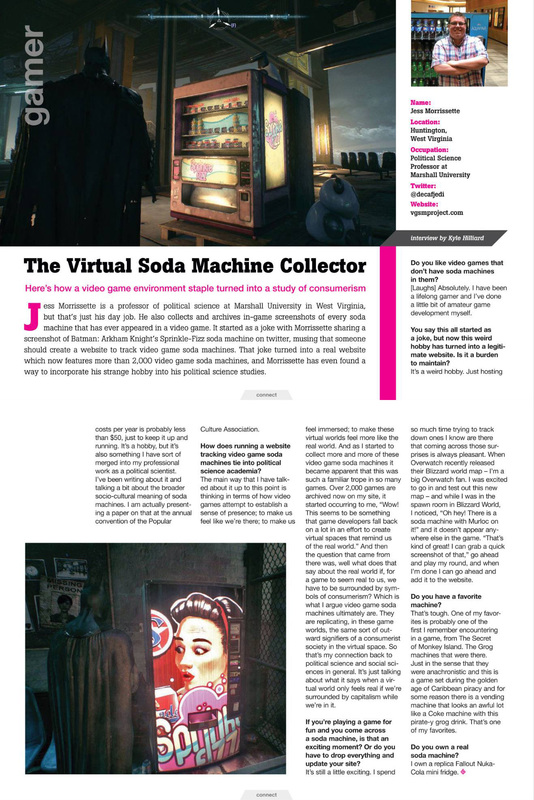 Or, if Coke just isn’t your thing, maybe you’d prefer an icy cold Con Cola? 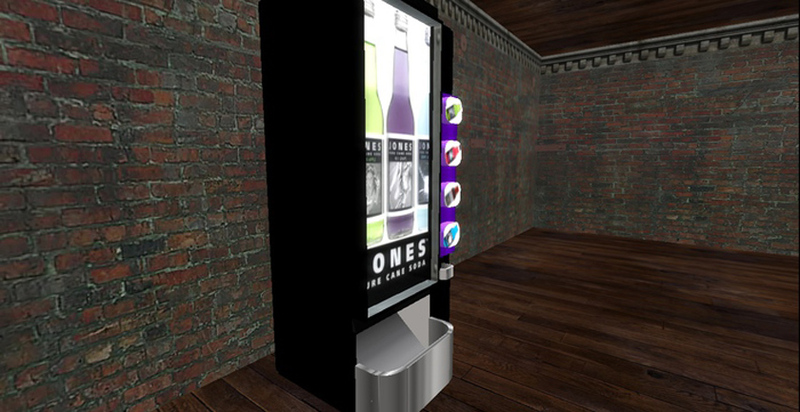 If you fancy a slightly lazier soda parody, here’s a Mountain Brew vending machine! 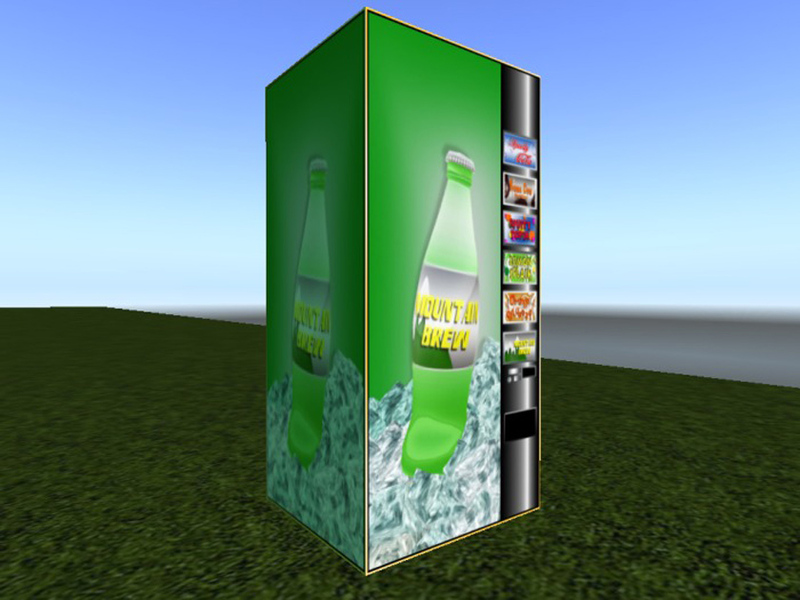 7 Up your thirst away with this vintage soda machine! Want a Fanta? How about a Jones Pure Cane Soda? Heads up, Sierra Petrovita! 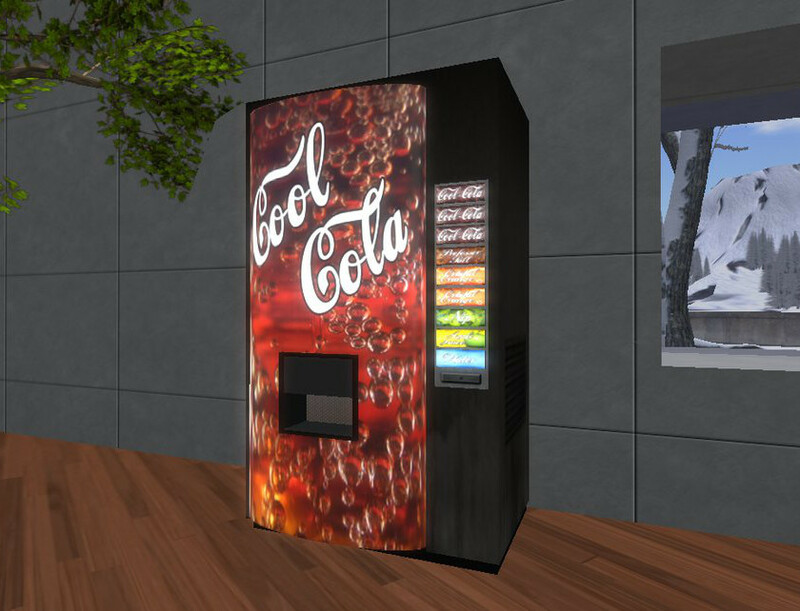 Second Life is full of knockoff Nuka-Cola machines. 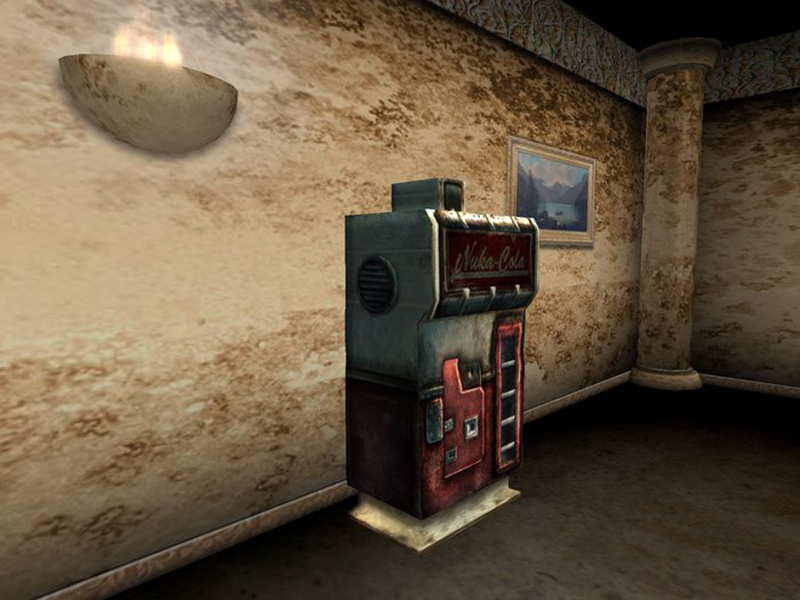 Speaking of soda machines from other games, this Soda Bliss machine first appeared in F.E.A.R. Oddly enough, the Second Life version isn’t a furnishing or item, but rather a wearable costume. 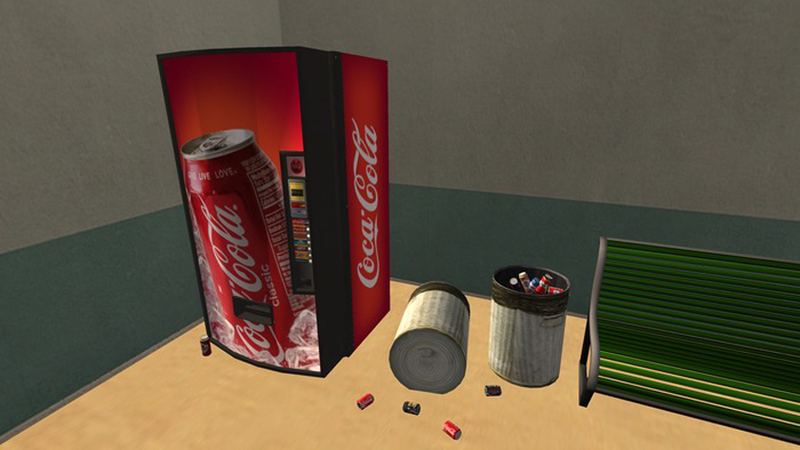 Knowing Second Life’s reputation, I’d rather not think about what players do while wearing soda machine costumes. 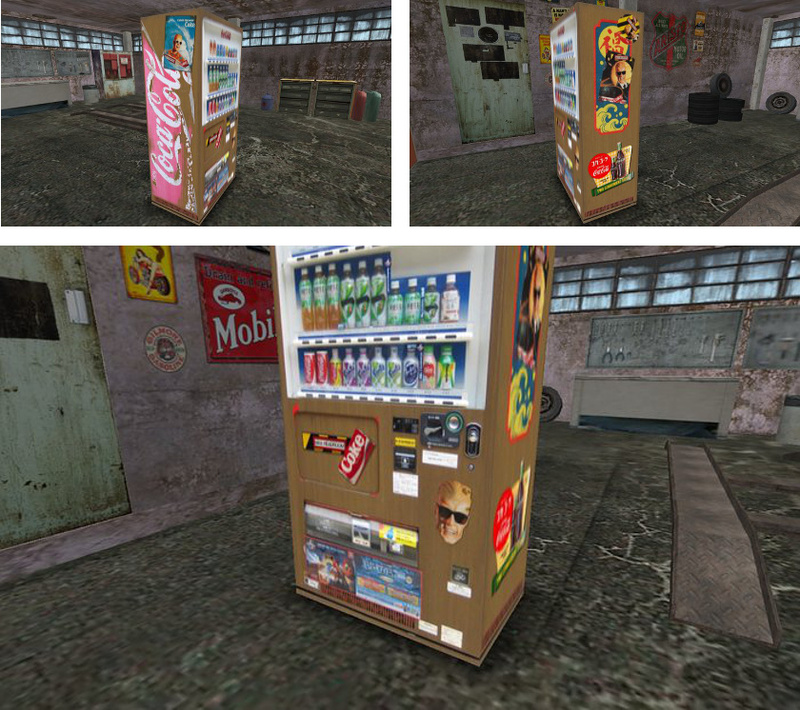 This Diet Squish machine also based on a soda machine that originally appeared in F.E.A.R. 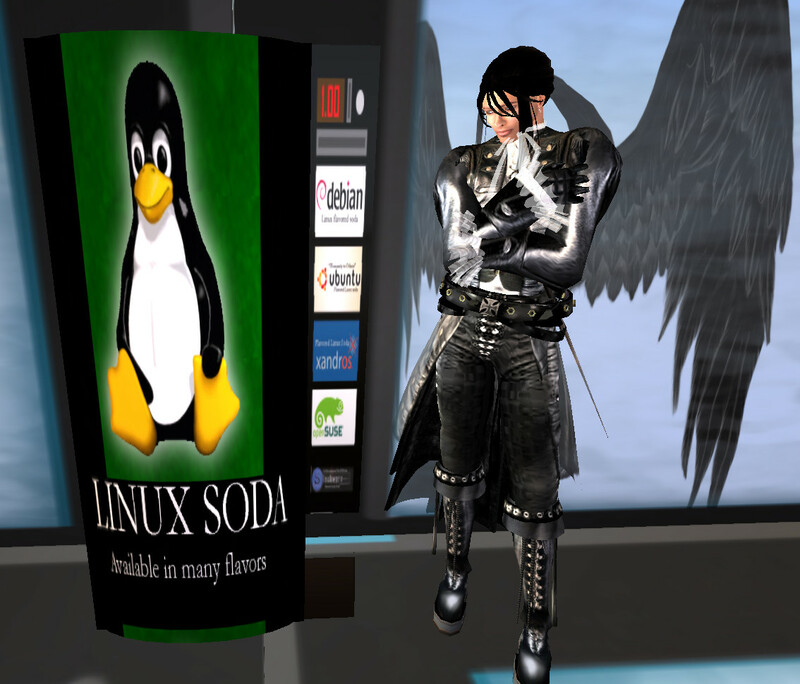 When did Tux the Penguin get into the soda game, and why is this vending machine incompatible with my printer? 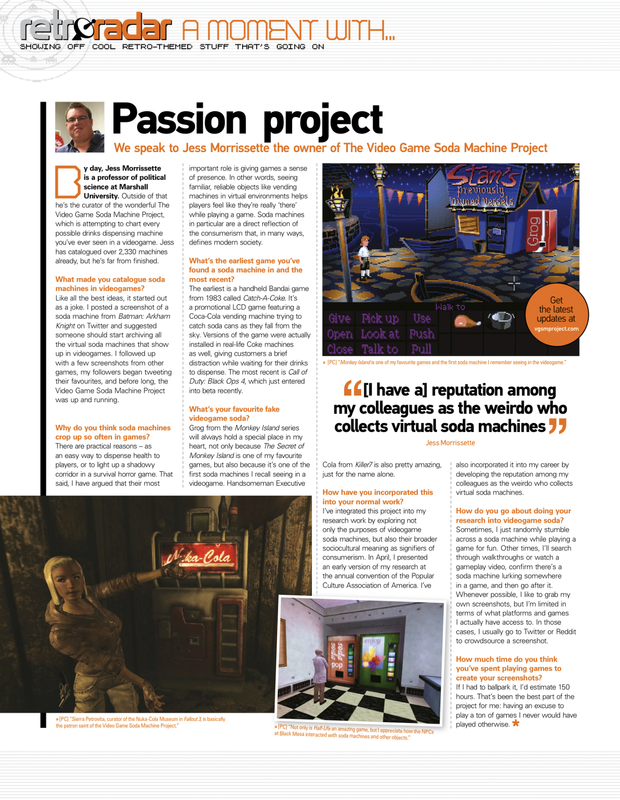 Also, is that guy standing beside it some kind of cyber samurai rock star, or what? Taking a selfie on the boardwalk with a vintage soda machine in the background. Thanks for sending this one, Pablo! What’s cooler than being cool? Sorry, André 3000 — the answer is Cool Cola. 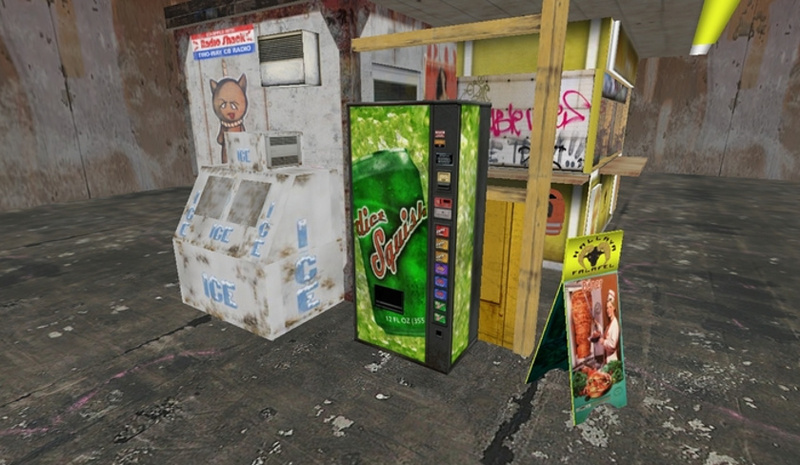 Who wants to settle for a boring old water fountain, when you have two perfectly good soda machines right there? 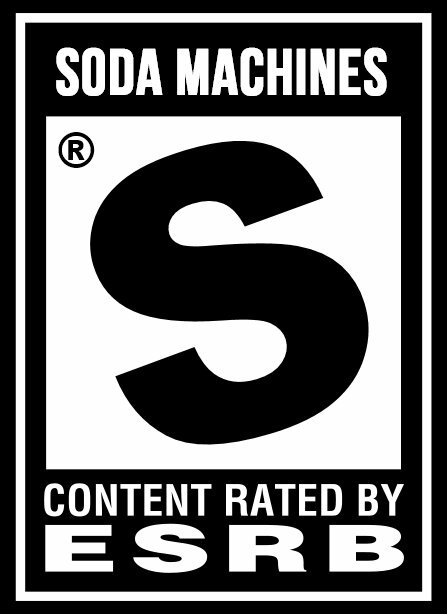 Why doesn’t Second Life look like this when I load it up? What kinds of magical filters are people using to get these screenshots? 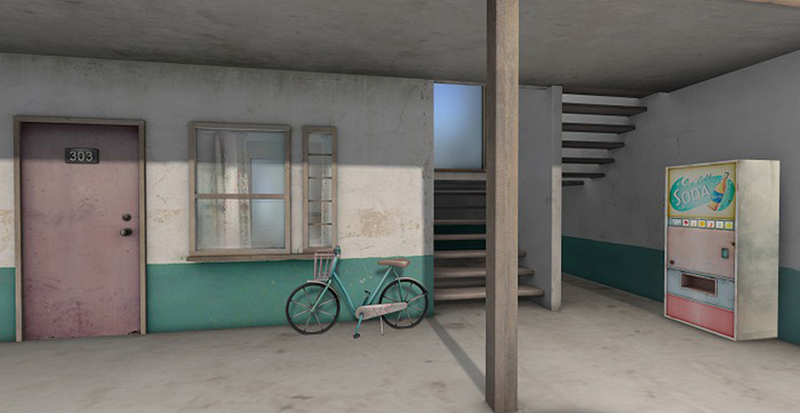 I appreciate the “1950s Miami motel” aesthetic in this next screenshot. 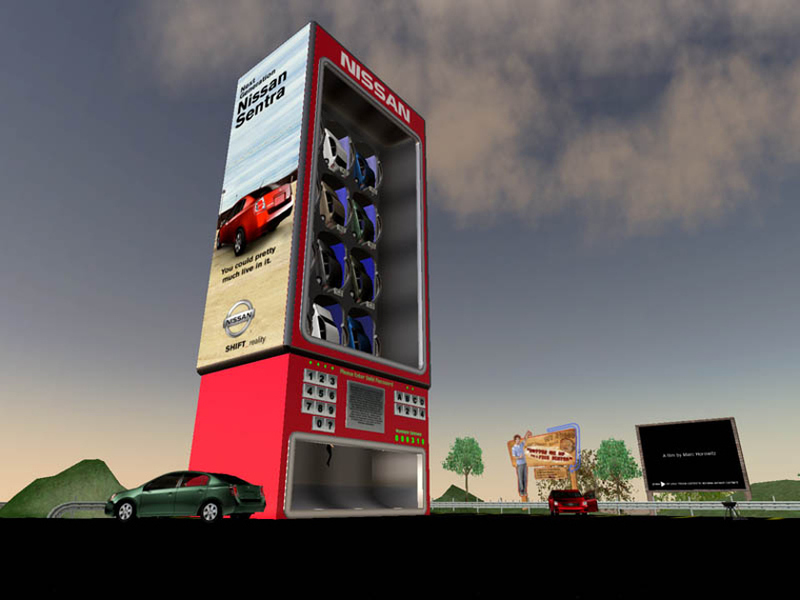 Okay, this last one isn’t technically a soda machine, but I couldn’t resist including the colossal Nissan Sentra vending machine that appeared in 2006 as part of the automaker’s Second Life marketing campaign (back when companies bothered doing Second Life marketing campaigns).